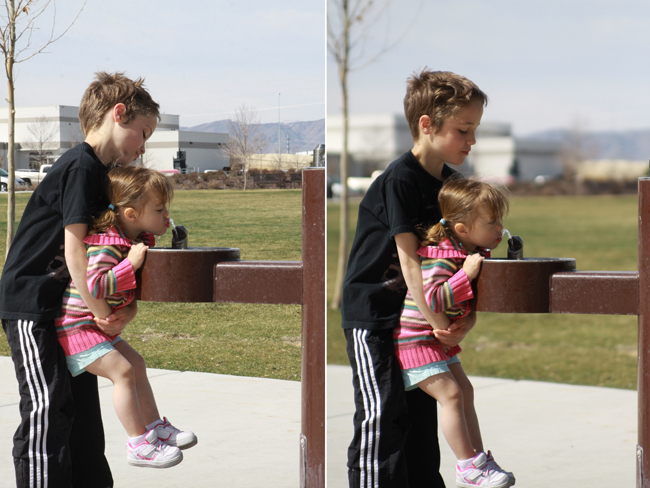 In the top photo the boy looks flat against the busy background because all parts of the photo are in focus. 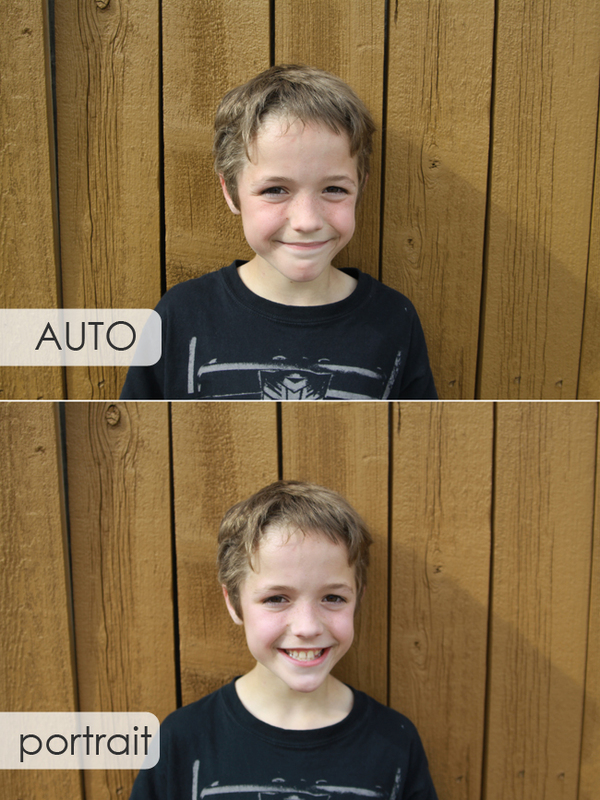 In the bottom photo the boy is much more prominent because he appears closer to the viewer than the blurred background. The photos were taken a few seconds apart, both on AUTO. 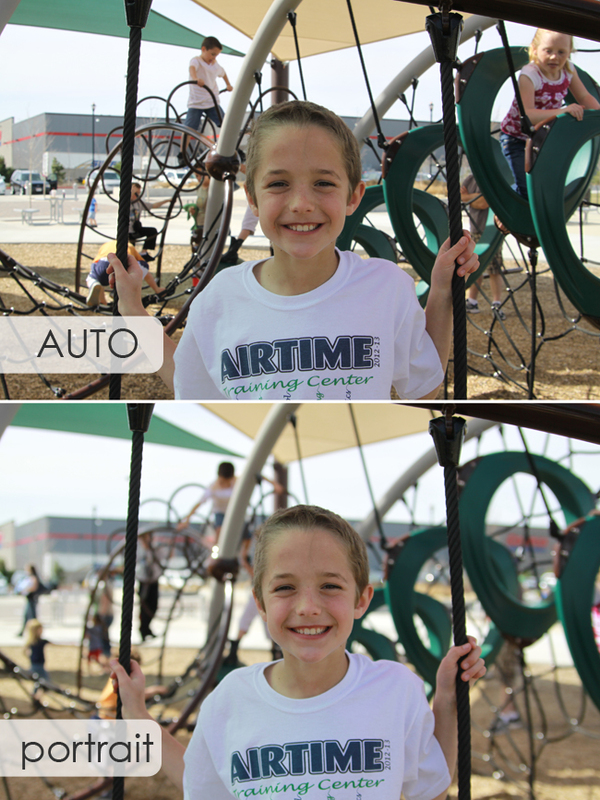 The only difference is that the second photo takes advantage of the portrait setting – one of six auto settings that are available on nearly all cameras and are extremely easy to use. 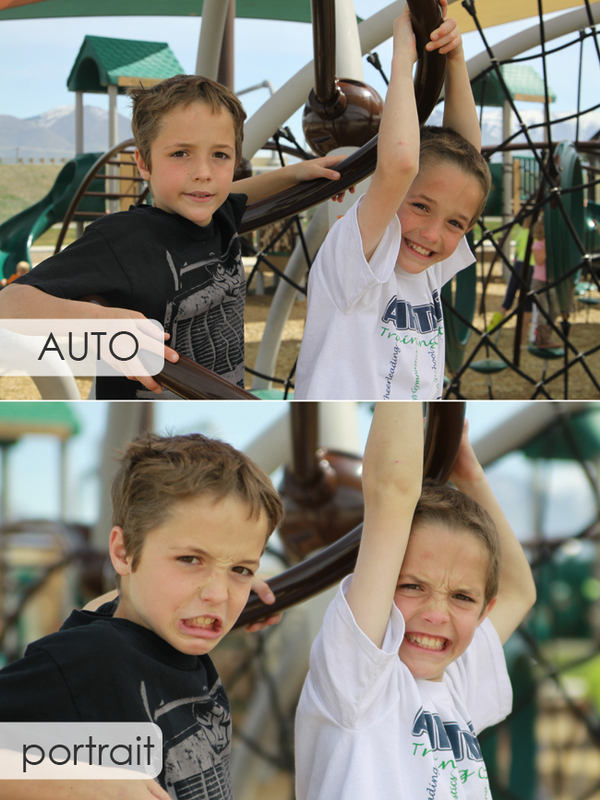 Auto settings are generally found on a dial on a dSLR or on a menu on most other digital cameras. 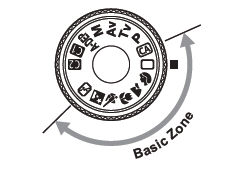 The icons you see in the basic zone of this dial represent the auto settings. The open rectangle represent full auto, while the lady’s face just below represents the auto portrait setting. (Other auto settings incude macro, sports, landscape, etc.) 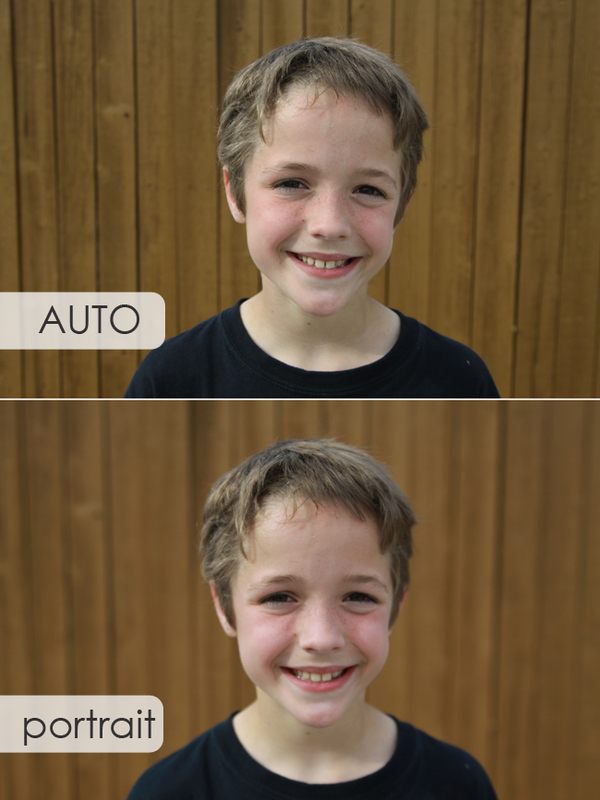 When you use one of these auto settings you’re telling your camera to choose aperture and shutter speed based on the type of photo you’re taking. The camera does all the hard work and you get a better photo. 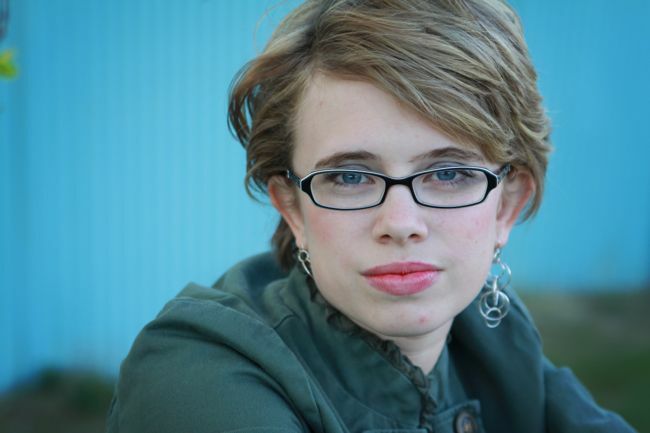 When you choose portrait setting you’re telling the camera you want your subject in focus and the background blurred. 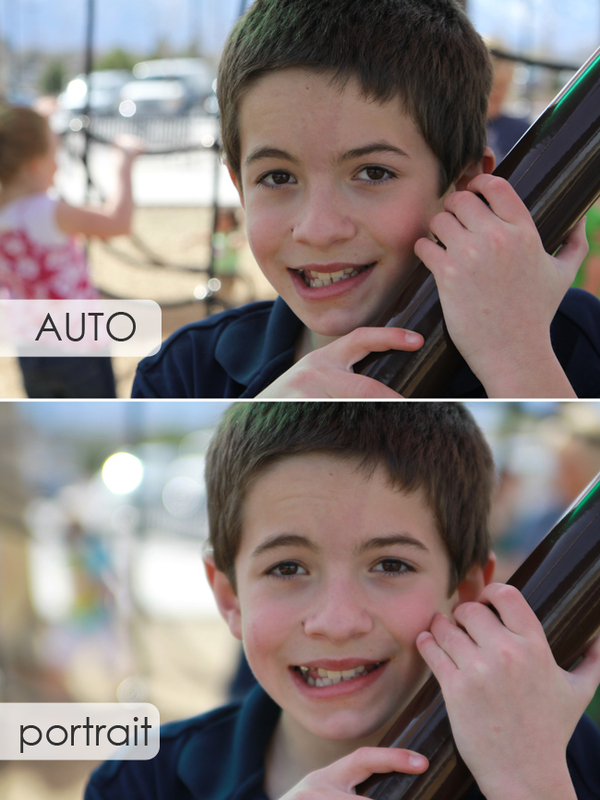 It can make a huge difference in the look of your photos when used correctly. See how the other children in the background of the photo below become completely indistinct in the version taken on portrait setting? The amount of blur you’ll get in the background of your photo when using the portrait setting depends on three factors: your lens capabilities, how far your subject is from the background, and how far you have zoomed in. The lens I used to shoot the photos in this post has a bit better aperture capabilities than most kit lenses (the lens that came with your camera), so when you shoot on portrait mode the blurring may not be as pronounced. But don’t worry – even with a kit lens you can manipulate the two other factors to get some blur. 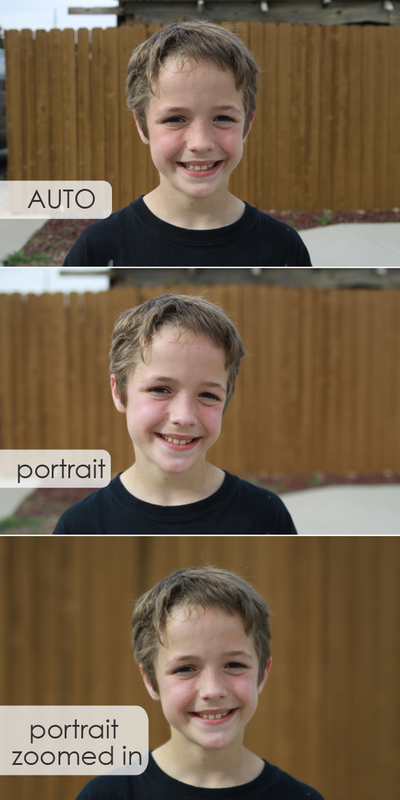 The difference between the auto and the portrait photo is suddenly much more pronounced. Our instinct when taking photos is to find a pretty bush or cool fence and have the subject stand right in front of it – but if you want any background blur you need to have your subject walk 5-10 feet away from the background (the further away, the more pronounced the blur). Just remember: turn to portrait setting, position your subject as far in front of the background as possible, then back up and zoom in. Have fun! I just had to say Thank you for your articles. Few years ago we bought a nicer camera, but between moving to another country, settling down, getting pregnant and having a child, i just have not been able to even study the manual, much less practice what i did read. Some of the things you talk about i figured intuitively, but there is still so much useful information here! Thank you so much for all the time you put into writing it and taking pictures to illustrate it. Thank you! This is so great! I’ve needed this for thousands of photos! Thanks for sharing! Thank you for the tips! I’m not a fancy photo taker and have been trying to figure out how everyone gets those pretty blurred background photos when all I know how to use is the auto setting. Thank you, thank you!!! THANK YOU SO MUCH!!!!! That was such a simple explanation-just what I needed!!!! I agree wholeheartedly with all the above comments ! I can’t wait to try this out tomorrow, thank you so much for sharing ! Thank you, thank you, thank you!! I have read about using portrait mode on my Nikon, I have read about changing your aperture and still not getting the desired effect. Found your website and brilliant!!! Move the subject away from the background piece, bingo, blurred background, perfect portraits!!! Thank you!!!! You’re welcome! It’s a handy little trick, especially if you don’t have a lens with a very low aperture number. I’m glad it helped! Thank you so much for a clear & concise post! I must have researched and played with my camera the way the other articles were suggesting (with no luck!) for about half an hour before I came to this post. I turned on my camera, did a few practice shots using your tips and viola! success. Thank you! I do have one question: I take my own outfit photos with a self timer & tripod. Will these tips still apply? Do you have any suggestions about how to blur our background in this kind of set up? Thanks again! Within 30 mins your Eight steps guidance converted me in to little bit of professional photographer. On serious note very impressed with your blog,this can’t be more easy for amateur photographer like me. now on whenever a comment is added I get 4 emails with the exact same comment.